At City Club, we understand that many of our Members aspire to find a certain “balanced life experience”, whether they want to explore their optimal health potential, discover new passions, or network with fellow business professionals. Our intangible goal, then, is to provide a conduit that will help Members of all ages reach their full potentials. At City Club, we want your experiences to bring out the best in you. We have a strong commitment to improving our Members’ overall health and vitality while offering a fun, family-centric social side through an active calendar of events. One person included on Membership. Must be 18 to hold own Membership. Two people included on the Membership. Must consist of married couple or parent and child, if child is under the age of 22. Consists of parents and children. Children under the age of 7 will not be charged, but we ask that you list them with your Membership so that they have full use of the club. For groups of employees (minimum of 4) enrolled from the same company. Corporate Memberships are handled by request. Grants you access to City Club Grill & Bar, private dining rooms and all social events at the club. For children ages 10-17 and allows them access to the tennis facilities only. Additional fees apply for tennis classes and clinics. The complimentary golf and dining are the two biggest reasons to upgrade to a Signature Gold Membership. Tickets to shows & concerts and events like The Masters become more important to Members as they become more familiar with all the benefits. However, with free green fees and dining in places like Aspen, Las Vegas, Orlando, Palm Springs, Houston, New York City, Naples, Austin and Atlanta being so popular, you can’t beat these benefits. 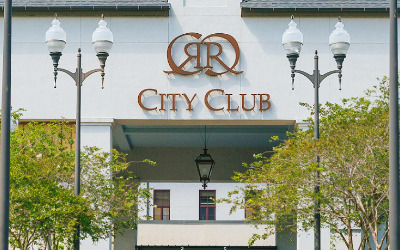 City Club at River Ranch is proud to announce “Club Benefits”, which is a new value added benefit for Full Members of City Club through a new relationship with ClubCorp. All Full Members of City Club will now have access to over 300 Reciprocal ClubCorp and other Prestigious Private Clubs worldwide. ClubBenefits also include a new Dedicated Concierge ClubLine for Travel Arrangements and Reservations at Premier Restaurants/Hotels/Resorts, VIP tickets to the Top Theater, Concert, and Major Sporting Events (Masters, Super Bowl, etc). Fitness: With over 20,000 square feet, the Fitness Center provides state of the art cardio and strength training equipment, a diversified Group Exercise Schedule, personal training and private Pilates instruction, nutritional counseling, and personalized fitness coaching to assist you in reaching your goals. Tennis: Private and Group lessons, cardio tennis classes, league play, an extensive junior tennis program, and a variety of mixers and clinics are only some of the highlights that this department offers. Aquatics: City Club’s family sized pool with interactive water features, a lazy river, aqua fitness classes, and swimming lessons is a favorite venue for Members of all ages. Member Events: Holiday Brunches and Specialty Themed Dinners are scheduled throughout the year. Riverspa: City Club's on-site day spa which offers Member preferred pricing on services. Members receive 10% off spa services Tuesday-Saturday. MEMBERSHIP MONDAYS - Members receive 20% off services! Carriage House Hotel: The Carriage House Hotel offers twenty-one hotel suites and six extended stay condominiums with vibrant colors, custom furnishings, spa bathrooms and boutique amenities. City Club at River Ranch Members receive preferred pricing on all suites. Other Benefits: City Club Member parking sticker, Member preferred rates for all boot camps, personal training, Pilates instruction, and Member pricing for wine by the case. ClubCorp ClubBenefits: City Club at River Ranch is proud to offer “Club Benefits”, which is a value added benefit for Full Members of City Club through a new relationship with ClubCorp. All Full Members of City Club will now have access to over 300 Reciprocal ClubCorp and other Prestigious Private Clubs worldwide. ClubBenefits also include a new Dedicated Concierge ClubLine for Travel Arrangements and Reservations at Premier Restaurants/Hotels/Resorts, VIP tickets to the Top Theater, Concert, and Major Sporting Events (Masters, Super Bowl, etc).